In the last week or so there have been a couple articles stating that the IRS may be softening its position in regard to Canadians, however, in the meantime, the filing requirements remain unchanged. 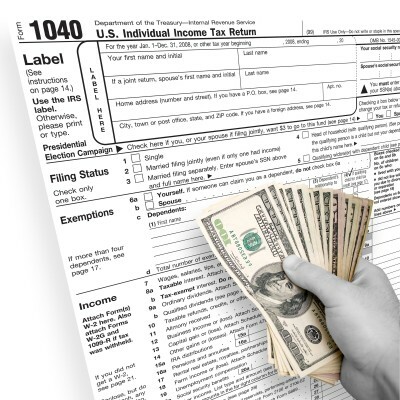 There has been much written about the requirement to file U.S. returns. However, in this blog I want to discuss other U.S. forms that may be required for Canadians who have to file U.S. tax returns whether as U.S. citizens or deemed U.S. residents. As I noted in prior blogs, I used to file U.S. tax returns, but have not done so for almost two years. Thus, this blog is just for information purposes; please see your U.S. advisor to ensure compliance with your filing requirements and confirm any penalty provisions applicable to you. This form was front and centre in regard to the amnesty filing program. This form is required to be filed by any U.S. citizen or resident who has a financial interest in, or signature authority on, a foreign bank account (i.e. 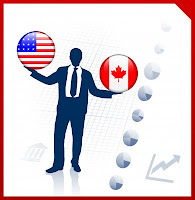 any account in Canada, whether a bank account or investment brokerage account). Failure to file this form could result in penalties ranging from $500 for a negligent violation, to $10,000 for a non-willful violation to a maximum of $100,000 or 50% of the value of the account for a willful violation. The potential penalties seem absurd for not filing an information form. Some think the hidden agenda of this form is to provide the IRS full disclosure should you die and be subject to U.S. estate tax. This form is used to report any Registered Retirement Savings Plan (“RRSP”) or Registered Retirement Income Plan (“RRIF”) you hold in Canada and the related income from your RRSP or RRIF. Before you have a heart attack, the income does not need to be reported if you elect to defer recognition of the income on your RRSP or RRIF until the time you receive it. By making this election you should be able to offset any U.S. tax by claiming a foreign tax credit for the Canadian income tax you pay upon the withdrawal of funds from your RRSP or RRIF. This form must be filed each year for each RRSP or RRIF you hold. There is interestingly no penalty set out on Form 8891. I have been told by some that the penalty for not filing this form is up to 35% of the value of the RRSP or RRIF, however, I have seen others speculate that since no penalty is specified, the penalty could be as low as $135. In either event, I would file the form and not chance the higher penalty. This form must be filed by Canadians filing U.S. returns who own at least 10% of the stock in a Canadian corporation. There are different filer requirements, so speak to your advisor as to which category you fall into. 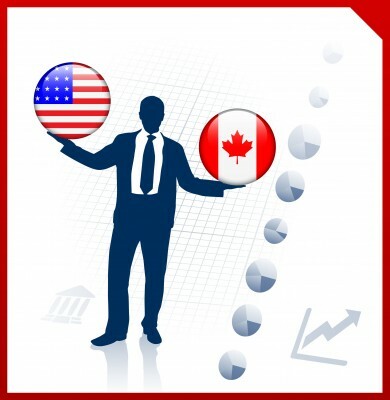 Under some filer requirements, you are basically required to translate your corporation’s Canadian financial statements into U.S. financial statements. This is a lengthy and very expensive exercise. The penalty for non-compliance is $10,000 per missed filing and a reduction of foreign tax credits. This form is required to be filed by any U.S. person who received a distribution from a foreign trust. For estate planning purposes many Canadians create family trusts that include themselves or children who are U.S. citizens or residents and thus fall under this filing requirement. In addition, and more relevant for most Canadians, some U.S. tax specialists think that this form must be filed to report both Registered Educations Savings Plans (“RESPs”) and the Tax-Free Savings Accounts (“TFSAs”). The penalty for not filing this form is equal to the greater of: (1) $10,000, (2) 35% of the property transferred to the trust, (3) 35% of the gross distributions from the trust, and (4) 5% of the gross value of the trust assets. The above discusses some of the U.S. information forms U.S. citizens and residents may be required to file. The penalties do not seem proportional to the importance of the forms, so for the sake of Canadians required to file U.S. returns, let’s hope the IRS truly does soften its position on penalties for at least past transgressors. Hi, this post made me wonder if I have to file a US tax return. I am originally from Europe and worked in the US for one year on H1B visa (temporary worker). Then I moved to Canada and got Canadian citizenship a few years later. I still have an IRA account in the US (converted from 401k soon after I left the US). I have no other account/asset in the US except this IRA. Am supposed to be filing the US tax return? Hi Anon, I unfortunately cannot provide a definitive answer, you need to ask a US specialist. Typically a one year temp visa would not cause you a filing requirement for future years, however, as noted above, please confirm with someone who does US taxes full time. I have a US passport and a Canadian passport but was born and still live & work in Canada. What can happen to me if I dont file? Do I need to file with the IRS? Anon, I assume you have a US passport due to the citizenship of one or both of your parents. Assuming so, you have had an obligation to file US tax returns since birth if you are a US citizen. Most likely you would owe no taxes, however, you may be subject to some of the penalties I noted in the blog and by not filing if you ever need to renew your passport you may have issues. I would engage a US tax specialist to review your situations and options. I want to renounce my US citizenship but read there is an exit tax. If world wide assets are over 2 million the IRS chges capital gains tax. I am 56, am now Canadian, worked for the Can govt for 35 years, did very well and now have a 100,000 yr pension. How would that be treated and do they look at CPP and OAS? You state that "some U.S. tax specialists think that form  must be filed to report both Registered Educations Savings Plans (“RESPs”) and the Tax-Free Savings Accounts (“TFSAs”)." But neither you nor the specialists explain why an [in most cases] ordinary savings account must be considered a trust. IRS does not state so explicitly. Is it possible that an unfounded rumor is propagated without foundation? As I state in this post, “Thus, this blog is just for information purposes”; the blog was written only as a heads up for people required to file US tax returns. As I am not a US tax expert nor purport to be one, I wrote this only as a public service to US filers and I don’t think I owed anyone an explanation as to why a savings account may be considered a trust. However, since you challenged me, go to this link (http://www.cra-arc.gc.ca/tx/trsts/typs-eng.html) and see what the CRA considers a trust. You will find both a TFSA and a RESP on that list. If the link does not open directly, go to the first search item "types of trusts". I'm Canadian and bought a house with my US/Canadian wife. I paid for it, but we are joint tenants. Is this considered a gift from me to her and something that should have been reported on a 3520? She has been filing US returns each year, and the new electronic FBAR. Does this only become important to the IRS when we sell the house? I know you're not a US tax expert, but this blog has been very helpful. As you note, I am not a US tax expert, I don't know the answer whether the joint tenancy is considered a gift for US purposes. You need to ask a US accountant-sorry.